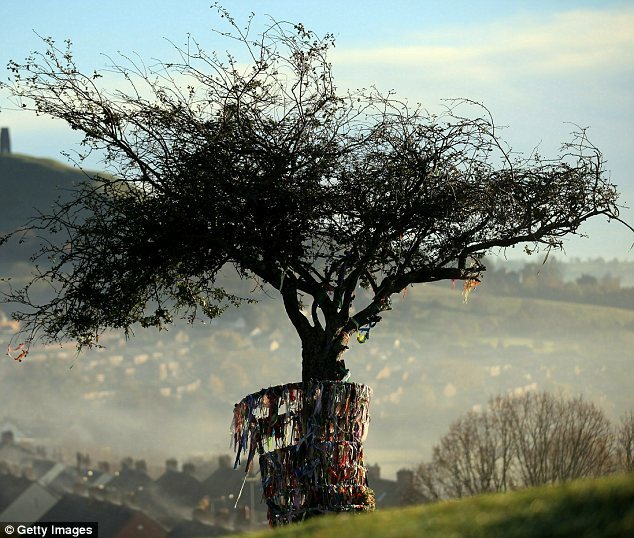 In Glastonbury, England there is a Christian monument that goes back 2,000 years–to the time of Christ. 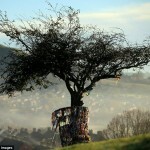 It is called “The Holy Thorn Tree of Glastonbury” and thousands of people visit it every year. Perhaps, we might literally call it a true Christmas Tree. That is, a ‘Christ Mass’ tree: people visit to celebrate what Christ did (his life, teachings, and death). 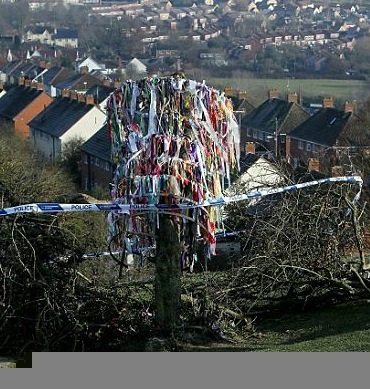 In fact, I wish the traditional Christmas Tree we erect here in America and decorate during the holidays had it’s legend rooted in the Glastonbury Tree and not paganism, but that is another story. Saint Joseph (of Arimathea as told in in John 19:38–the guy who buried Jesus in his own tomb) travelled to this spot after Christ was crucified, taking with him the Holy Grail of Arthurian folklore. 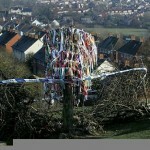 He is said to have stuck his wooden staff – which had belonged to Jesus – into the ground on Wearyall Hill before he went to sleep. When he awoke it had sprouted into a thorn tree, which became a natural shrine for Christians across Europe. Whether the legend is true or not is irrelevant. Personally, I don’t care for superstitious-type things like this. I am always cautious about them because I wonder if we are in jeopardy of idolatry (to use a churchy term): worshipping what is created rather than the Creator. Again, that is another story. Either way, this much is true: the tree is likely 2,000 years old and means a great deal to a great deal of people. I think this is a terrible, tragic, and offensive act. It may sound strange, but I often wonder (when things out of balance like this happen) if a major civil rights struggle and intolerance issue of the near future will somehow involve Christians (being the oppressed one, that is). I suppose many dissidents will say we had it coming, because of history and all. What does change for me? I’m still going to get up, go to work, and bring my kids to McDonald’s on the weekends. But I am also ready to endure, not be vengeful, and try to be a good example of the temperance, patience, and grace of Jesus. As I have said, when the world crushes me with pain, I will still stand with God. This entry was posted by Jason Berggren on December 15, 2010 at 8:00 am, and is filed under In The News, Touchy Subjects, Unauthorized Blogs. Follow any responses to this post through RSS 2.0. You can leave a response or trackback from your own site.